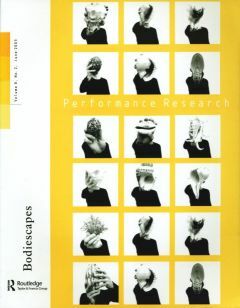 Bodiescapes will be the second issue in a volume dealing with the body and the senses in performance. Bodiescapes investigates the body of the performer and of the spectator in, around and at performance. The issue will highlight three central aspects of physicality in performance under the headings of: ‘Body Matters’ – putting forward a theoretical framework, applying and weighing up deconstructivist, postmodern, semiotic or phenomenological approaches; ‘Body (Re)Members’ – focusing practically on the (non-)moving body, on ideologies of physical theatre training as well as insight from practice-based research; and ‘Body Shapes / Body Escapes?’ –opening up perspectives on historical, contemporary, political and performative case studies on corporeality. 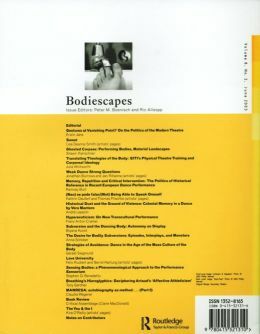 The editors have invited academics and practitioners working in the field to contribute on aspects of the body, movement and physicality in performance ranging from contemporary performance and its analysis to historical facets, from ‘physical’ drama productions to dance, mime and performance theatre.